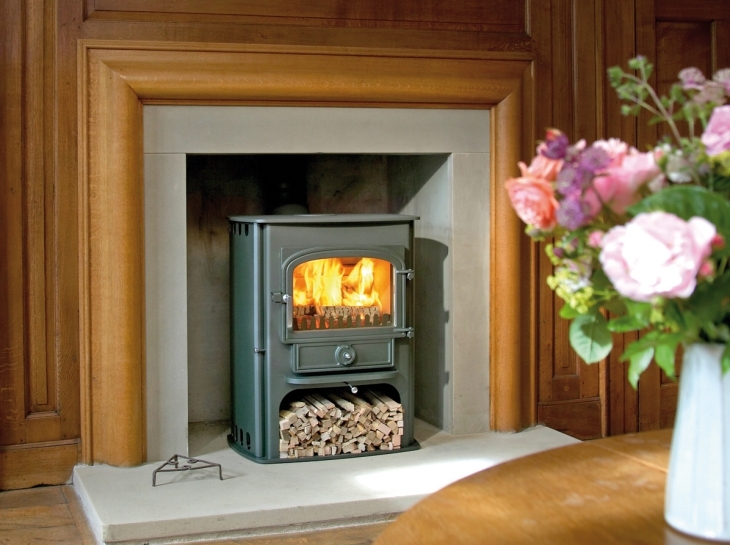 This is a highly efficient clean burning convection stove that brings elegance and comfort to any home. The hot air-wash system gives fascinating flame patterns and crystal clear glass, and its convection casing reduces the required clearance from combustibles to 300mm each side. The casing is available in a stainless steel option to give a contemporary look. The 500SB has the extra benefit of a combined boiler. One large Clearview double-glazed door that gives an impressive view of the flames. Solid brass knobs and door handles. Stainless steel ash pan for long life and easy ash removal. Hotplate surface for coffee pot or kettle. Built in fuel store for logs or morning kindling. Takes up to 15 inch logs.